In an age when we increasingly rely on things like computers and smartphones, it only makes sense that cyber security should be a big concern. While it's the job of IT support companies to provide these services to businesses, it's also important that you practice good cyber security habits on your own. That's because even the smartest cyber security systems on the planet can be completely undone by basic human error. And with every year that goes by, the dangers of "cyber" get even scarier. 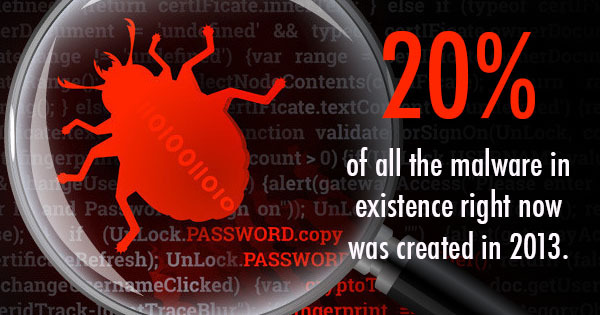 Just because 20% of all the malware in existence today was created in or after 2013 doesn't mean it isn't going to harm your 2016 computer or phone. If you want to keep your machines and your small business safe, practice these dos and don'ts of business cyber security. The more obscure the password, the better. While it should still be something you can remember, try not to go for things like your first address, school, or your birthday. If you can think of an inside joke or reference, you'll probably be more prepared to pass a cyber security assessment. Not only that, but you should regularly change these passwords throughout the year. No matter how obscure your password is, if you leave your password sheet open on your computer or lying around somewhere in the office, you're not practicing good cyber security protection. These documents should always be on your person or in a safe location. If someone guesses your password from one account, they shouldn't be able to get into any of your other accounts do. Change up your password completely or make variations between accounts to ensure all of your profiles are secure. If a link looks suspicious to you, don't click on it. A great way to discern the difference between trusted websites and scams is to search for reviews. If you find bad reviews, don't click. Also, be especially cautious on links you find in emails from strangers. While IT support companies might keep your technology secure, it's important for you to remember to keep your paper information secure, too. At maximum, you should keep important documents like taxes and big receipts for a year and then shred them before putting them in the garbage. In truth, cyber security and paper security go hand in hand. If you practice these good habits, you should be looking at a secure and spam-free future. Every business, no matter the size, should learn about cloud computing. Cloud computing can be beneficial to companies of every size, as a cloud-based network can help boost their business success in many different ways. Here are the top six reasons any business should invest in cloud computing. By using a cloud based infrastructure, your employees will be able to connect with each other no matter where in the world they are. Your data can be accessed from anywhere at anytime, which boosts collaboration. Multiple different teams will be able to work together without any problems. Not only can your employees easily access information with the cloud, they will be able to easily engage with their customers. Don't underestimate this benefit. Better consumer engagement leads to a higher customer conversion, and cloud computing is often seen as one of the easiest ways to tighten relationships with your clientele. You will never have to worry about slow processing speeds when retrieving your data ever again! A cloud-based network is known for its speed, making your employee's jobs easier and less stressful. Cyber security poses a huge risk to businesses every day. Investing in a secure, cloud-based network is the easiest way if something happens and your files are lost. A cloud can protect you against anything from a computer crash to a malware attack. All in all, an investment in cloud computing is an investment in cyber security protection. One of the most important things you can learn about cloud computing is that this platform will easily be able to give you access to up and coming technologies. It allows smaller businesses to act more competitively with their larger competitors, as they will be utilizing the same infrastructure but with lower costs. 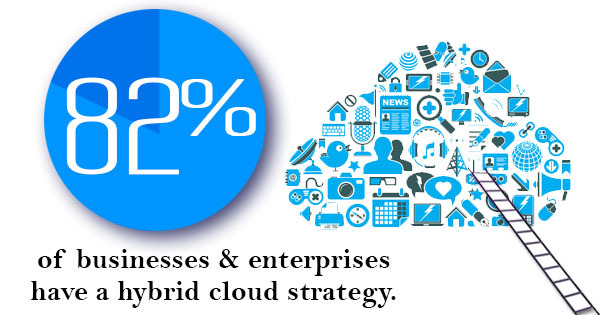 Right now, a full 82% of businesses and enterprises have a hybrid cloud strategy, and this statistic is only going to grow year after year. Why wouldn't you want to invest in a cloud-based network that will bring numerous benefits to your company? What are you waiting for? If you are looking to learn more about cloud computing, contact our experienced professionals here at MVP today! The world of technology brings many different confusing buzzwords to the table, such as VoIP, search engine optimization, cyber security, and the cloud. Otherwise known as cloud computing, the cloud is a method of storing data over the Internet rather than on a physical hard drive. Saying that you are hosting your information on a cloud server can be quite confusing for those who are not used to this technology yet. While you might prefer to envision a white fluffy cloud magically hosting your important data, that's not the case. Here's the truth: Even if you don't know anything about the cloud, you're already using it. If you use any popular email service, your emails are already in the cloud. So to help you understand this technology, we have compiled a quick and easy beginner's guide to everything you need to know about using a cloud based network. Cloud computing provides a simpler way for many different people to access information over the Internet. This includes servers, storage, databases, photos, and various applications. Cloud computing companies own and maintain these networks, while you decide what software to use and what information is stored on the web. When you choose this method, you do not have to invest in expensive data centers and servers without knowing how much of them you will actually use. With the cloud, you will instead pay only for what you need. Since millions of customers are using the cloud, there is a better economy of scale with this method. Take the guesswork away from your digital storage needs. With the cloud you do not have to guess at how much space you need to store your files, and it is especially easy to adjust your capacity in minutes. When you take advantage of cloud hosted networks, you're never more than one click away from updated IT resources that can bring speed and agility to your server. 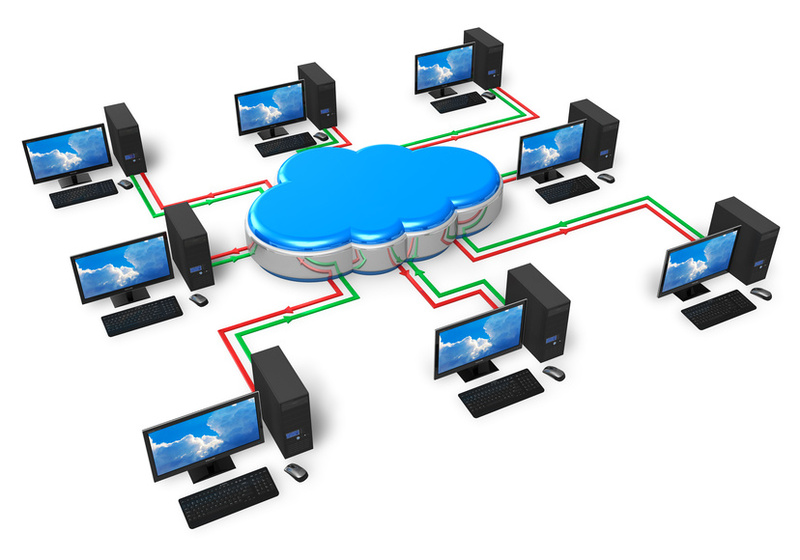 There are two basic types of cloud computing, public and private cloud based networks. Private cloud hosting is where the hardware, storage, and network are dedicated to one single client and company. Public cloud hosting is when the network provider makes everything available to the general public over the Internet. In this model, you share your cloud with other businesses. Using each cloud offers different benefits for different individuals. All in all, a full 88% of organizations currently use the public cloud, while 63% use the private cloud. If it seems like those numbers don't quite add up, it's because more and more people are using a hybrid of the two, known as the hybrid cloud model. Cloud computing is a great storage method for any business, no matter the size. It can be used for data backup and storage, Voice over the Internet Protocol (digital phones), mobile applications, or simply sharing family photos with friends. If you are looking to learn more, contact MVP today. Website design is a powerful tool that will ensure potential customers have an easy experience with your website -- which increases the likelihood that they'll become a customer or client. Although it's not necessarily easy to optimize your website, there are a few web design tricks you can try to keep customers coming back for more. Your homepage should not be cluttered with ads, but rather it should be clean and streamlined. Have your polished, professional logo at the front and center of the page, and implement a easy-to-navigate tab system if you have multiple pages. Also, make sure that pertinent information -- your phone number, email, locations and hours of operation -- is visible on every page. Having too many pictures on your page can slow down your site. 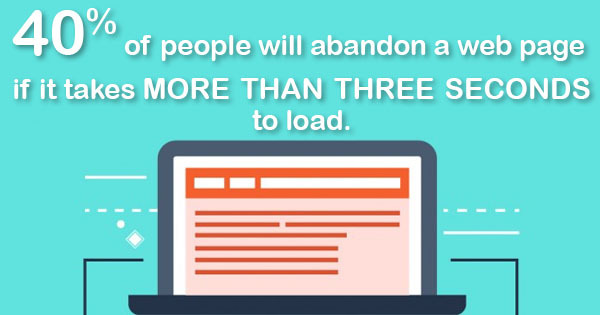 This is important; according to eConsultancy, a full 40% of people will abandon a web page if it takes more than three seconds to load. Think of all the potential customers and revenue you can lose just by having a picture too many! Keep the pictures to about two or three per page, and make sure they are small. Again, less is more. Stay with a neutral color palette to project a clean, modern, and professional image. It is a good idea to concentrate the color on the page to specific keywords; this way the customer will be guided to important content. Not only is this beneficial for your search engine optimization plans, but a website design that ensures every search leads to a landing page will make it easier for your client to navigate. Doing so will bring the client to exactly the page they are looking for, decreasing their frustration and increasing your conversions. One of the best web services you can offer is to optimize your website so it is easily read on mobile devices. Considering that the majority of Americans use mobile devices daily, this is just one more way to increase customer satisfaction. Website design doesn't have to be complicated. Our professionals at MVP are here to help! VoIP stands for Voice Over Internet Protocol, which is a way to connect your phone service over the Internet instead of regular analog phone lines. This form of communication is on the rise, as research predicts mobile VoIP users will reach a full one billion users within the next year. 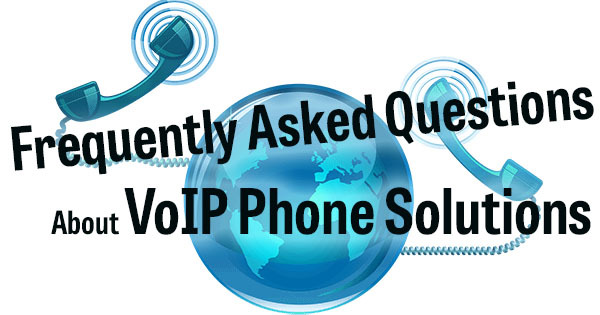 Unfortunately, many VoiP users can become confused about this service compared to a traditional phone system, so here are some frequently asked questions about VoIP phone solutions to clear up any confusion. VoIP services convert your voice into a digital signal that travels over an Internet connection. Compare this to an analog phone, which converts your voice into a regular telephone signal before it reaches its final destination. Using a VoIP solutions provider will allow you to make a call from your laptop, and it will give you the ability to make a call whenever you are connected to the Internet. What equipment is required for this service? First and foremost, a high-speed broadband Internet connection is required. You will also need a computer, a VoIP phone solutions adapter, and/or a specialized phone to make the calls depending on the VoIP services company you choose. Is there a difference between calling locally and long distance? Each different service provider has different limits for what constitutes long distance. The provider may allow you to choose one specific area code -- different than the one you live in -- that you can call unlimited, or they will allow you to call anywhere in the nation for one flat rate. Speak to your provider if you have any specific requirements about long distance calling, to ensure you are not charged an arm and a leg every time you make a call out. 1. It is easier to install, configure, and maintain than an analog phone. 2. You can easily add phone lines without any hassle. 3. Your phone number travels when you do, so you do not have to worry about changing numbers if you are working from home or traveling for business. 4. It is more cost effective than analog phones. 5. VoIP integrates with other business systems meaning that you are able to place an outbound call through your email, access your voice mail within your company dashboard, and even have a transcription service installed so you don't have to worry about taking notes during an important call. VoIP is a easy-to-use business system that can streamline your daily activities to save time. Install a VoIP service to bring ease of calling into your office today.